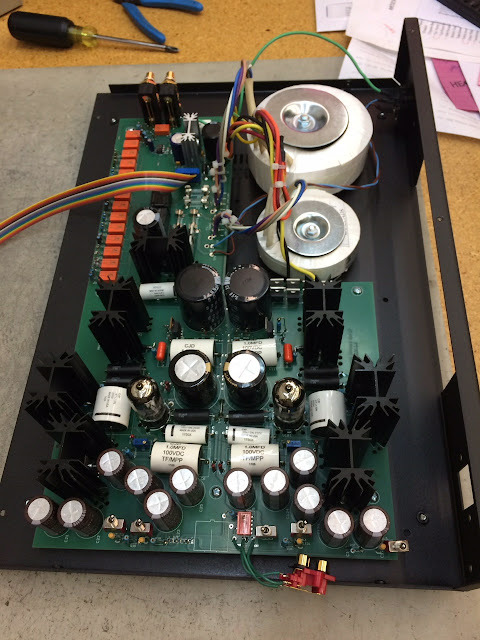 After all the years Conrad Johnson is finally brining the dedicated headphone amplifier... "Conrad Johnson's design team has been working diligently on a totally new product: a headphone amp that just sounds right! We'll show a few steps in the development on this page. First, the proof of concept prototype pc board - completed some months ago - mounted in a convenient chassis that we had on hand...". More info to follow.